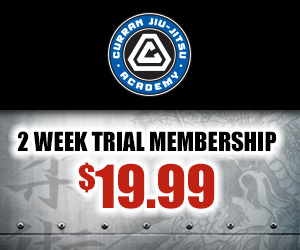 On Saturday, October 29, Team Curran sent two of their top fighters to compete inside the octagon at UFC 137. Bart Palaszewski made his UFC debut, while Jeff Curran returned the promotion after seven years.In addition to making his UFC debut, Palaszewski also fought for the first time in the featherweight division. His opponent, Tyson Griffin, was also a former lightweight trying to make a name for himself in the 145lb division. Griffin apparently didn’t take the fight seriously as he came in four pounds over weight the day of the weigh-ins and in the subsequent hour was only able to cut an additional pound. Palaszewski easily made the weight and said for him it was actually easier than some of his previous cuts to lightweight. Palaszewski was determined to make the best of his fight and agreed to fight Griffin at the catchweight of 148lbs. Feeling a bit disrespected, Palaszewski came out of the gate looking to punish his opponent. It didn’t take long for Palaszewski to land an impressive combo before sending Griffin to the floor. Griffin tried to recover and stood back up, but Palaszewski smelled blood and unloaded a barrage of punches. After about fifteen punches that weren’t landing flush, he landed a massive left that hurt Griffin. A couple of punches later, Griffin was asleep on the canvas and Palaszewski was the victor. Palaszewski’s victory was the first fight of the SpikeTV prelims shown and was quickly a contender for the coveted “Knockout of the Night” award. When the dust settled from the rest of the fights that night, his knockout had little competition and Palaszewski was given the award. With the victory, Palaszewski stated he wanted a top seven opponent next as he felt Griffin was considered to be in the top ten. 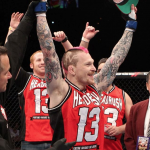 Curran meanwhile had seen his fight with Scott Jorgensen get moved up from the Facebook stream preliminary portion of the card to the pay-per-view after a couple of injuries led to changes in the card. Curran, had stated all along that he belong with the top fighters, and asked for one of the top in the bantamweight division. His opponent Jorgensen was a former number one contender, and proved to be a tough opponent. Many wondered if Jorgensen would even attempt to take the fight to the ground, knowing how skilled Curran is with his jiu jitsu. The two bantamweights attempted to throw punches with bad intentions in the opening minute, but neither landing a flush shot. Jorgensen decided he didn’t want to stand and throw punches and immediately worked for a takedown and got it. 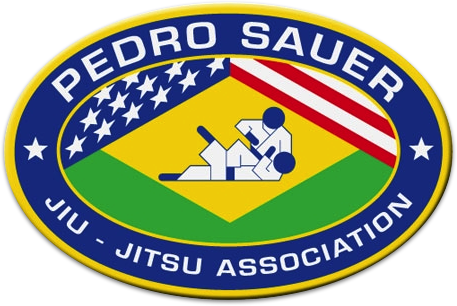 Curran displayed what it is like to be a second degree black belt under Pedro Sauer. Even commentator Joe Rogan couldn’t stop talking about how good Curran was. He immediately tried to escape Jorgensen, but Jorgensen was right there alongside him. Jorgensen did little damage and instead controlled the fight to earn the round. In the second round Curran attempted a takedown of his own, but it was defended well. Jorgensen took Curran down instead, but Curran scrambled and looked to have a guillotine choke in. Jorgensen had to roll completely out of the choke hold and after he escaped it was clear he knew he barely escaped. Jorgensen continued to try and just win the round by taking Curran down and controlling him, but Curran started to land big punches from his back. The punches set up submission attempts, but Jorgensen avoided being caught. The third round Curran decided he needed a finish and came out swinging hard. A couple of big punches were landed and Curran then taunted the younger fighter and the two stayed standing. Jorgensen clinched and worked knees to the leg of Curran, but Curran escaped and found his range with his left hand. With hardly any time left in the round and being beat up on the feet, Jorgensen took Curran down at the end of the round. When the scorecards were read, it was Jorgensen who had won with scores of 29-28, 29-28 and 30-27. Even though the decision didn’t go Curran’s way, he showed that he belongs inside the cage with the best of the best in the featherweight division.